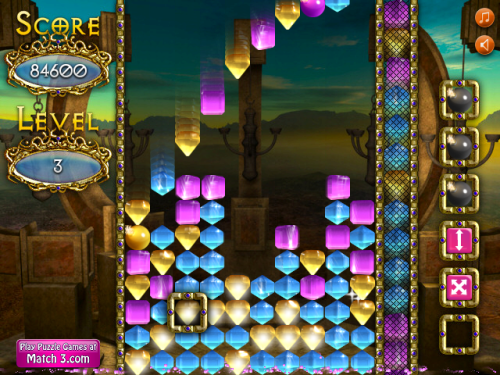 Description Smash touching blocks in this supremely beautiful, action packed puzzle game. Controls Mouse. Select matching blocks using the mouse to remove them. Drag power-ups from the side and drop them on the grid to activate them. A lot great games that I missed today. Great matching gameplay realization. Well done effects.